This finely carved piece is perfectly suited as a handling piece, as it is of a small size and the jade is imbued with great tactile quality. Paired animals, such as the present lot, represent a happy marriage. 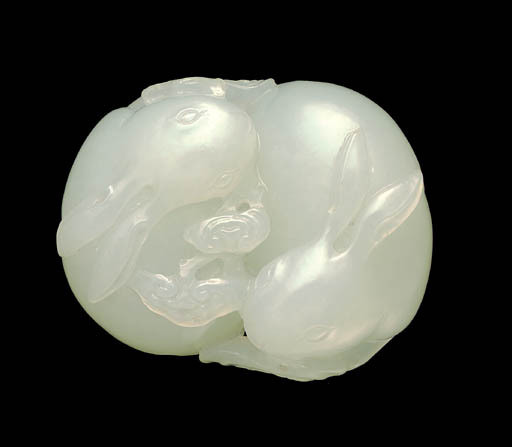 An identical pale green jade carving of a pair of rabbits was exhibited by Bluett & Sons Ltd., Dr. Newton's Zoo, London, 1981, and illustrated in the Catalogue, no. 97.